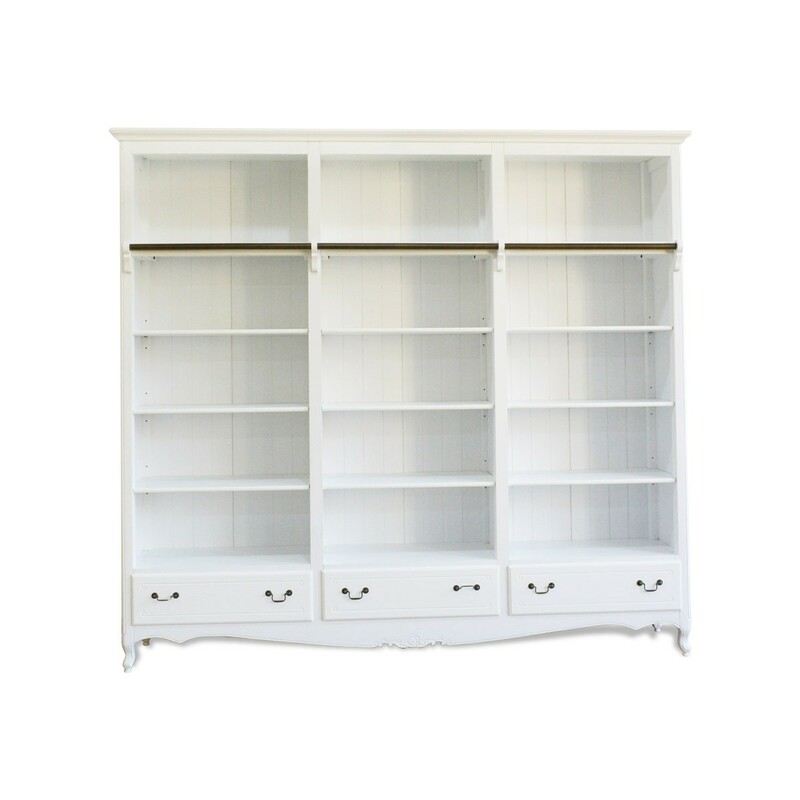 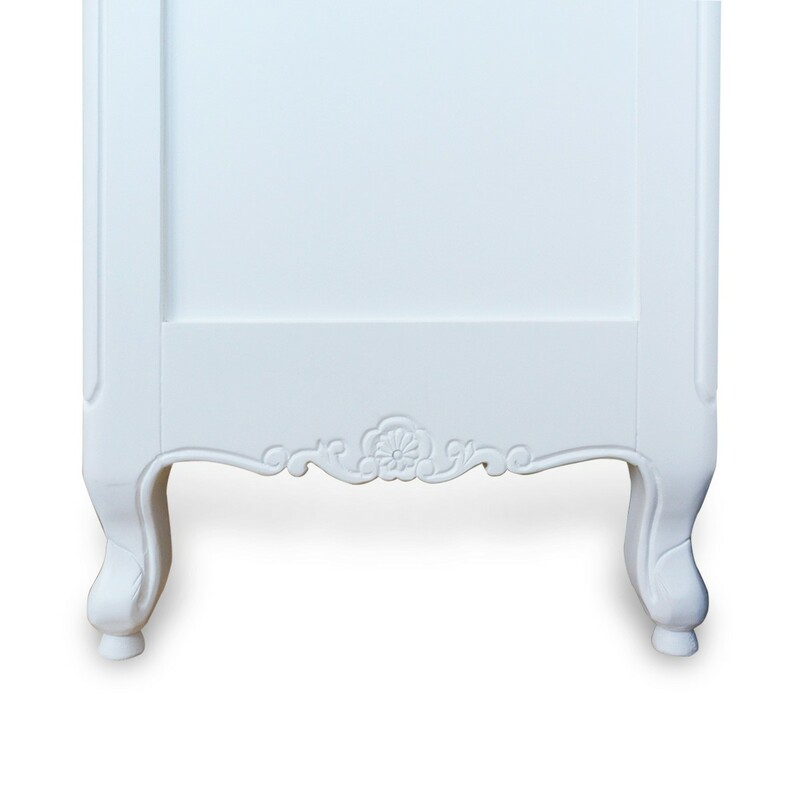 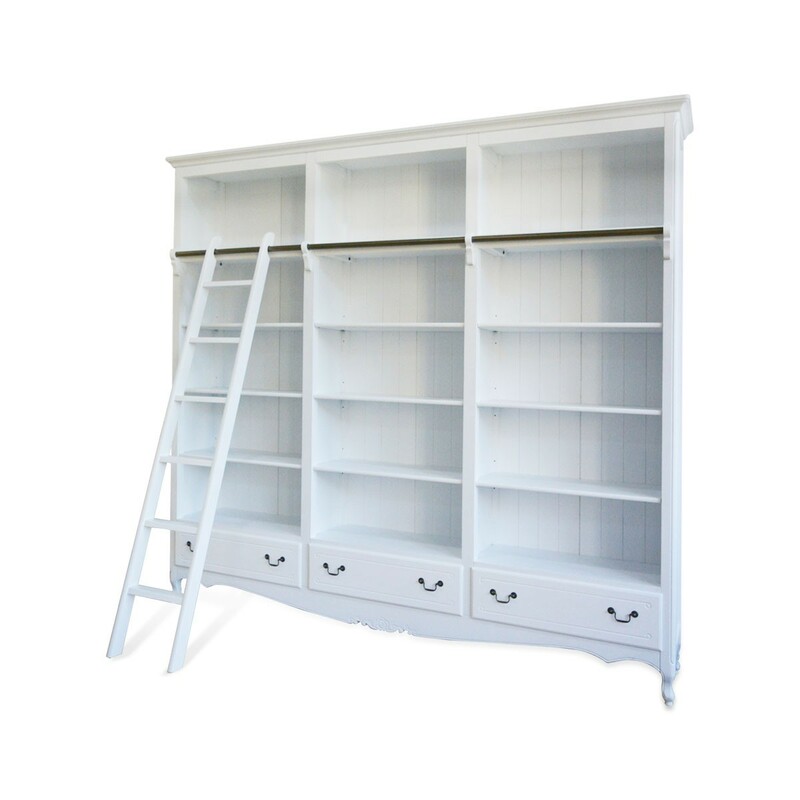 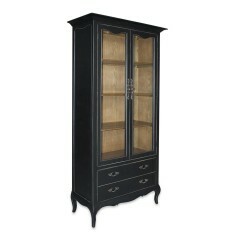 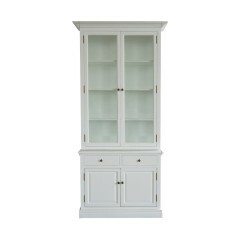 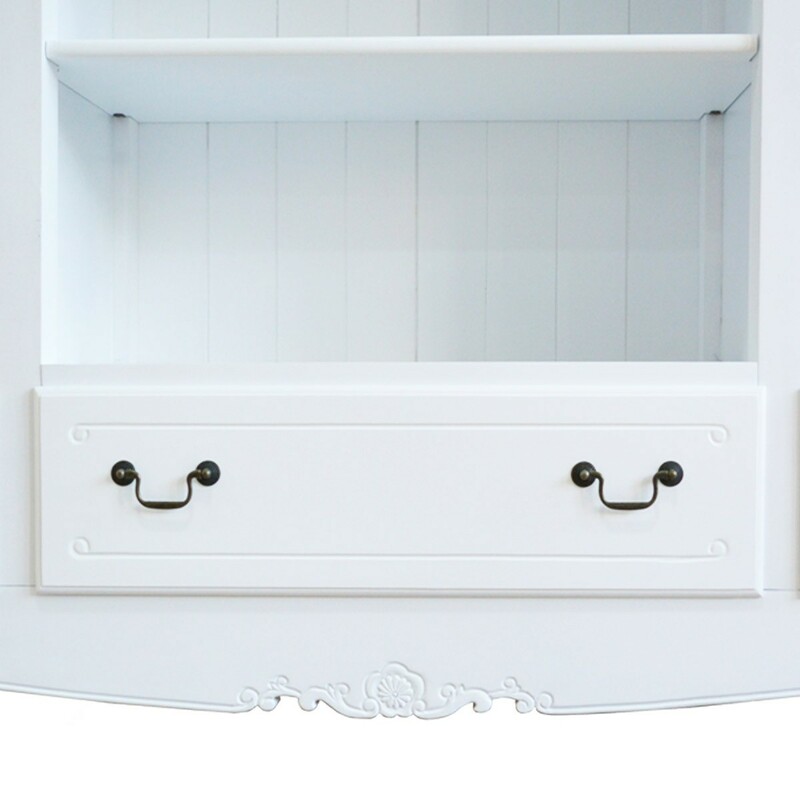 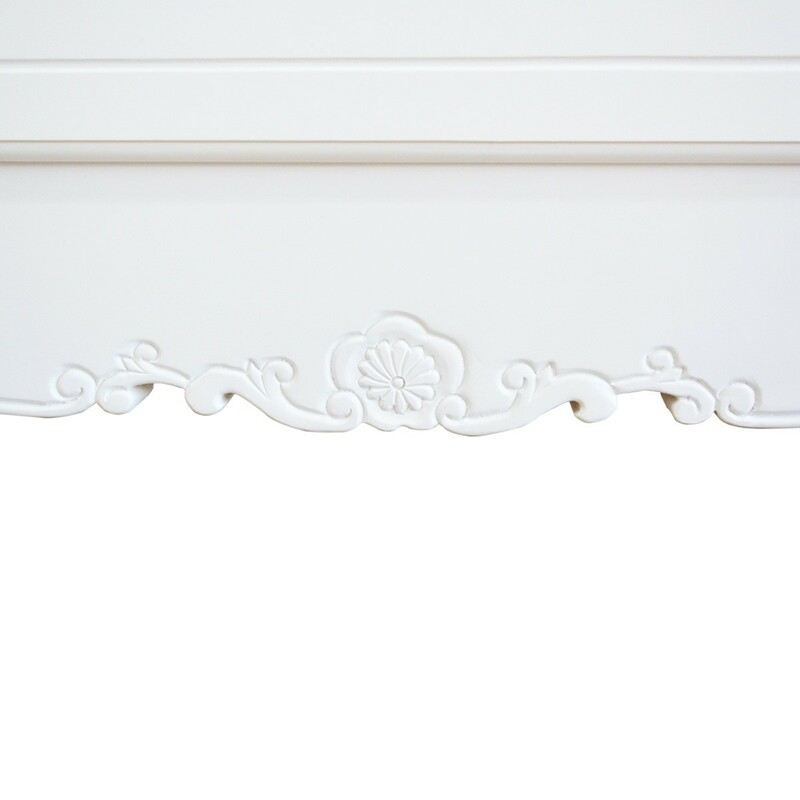 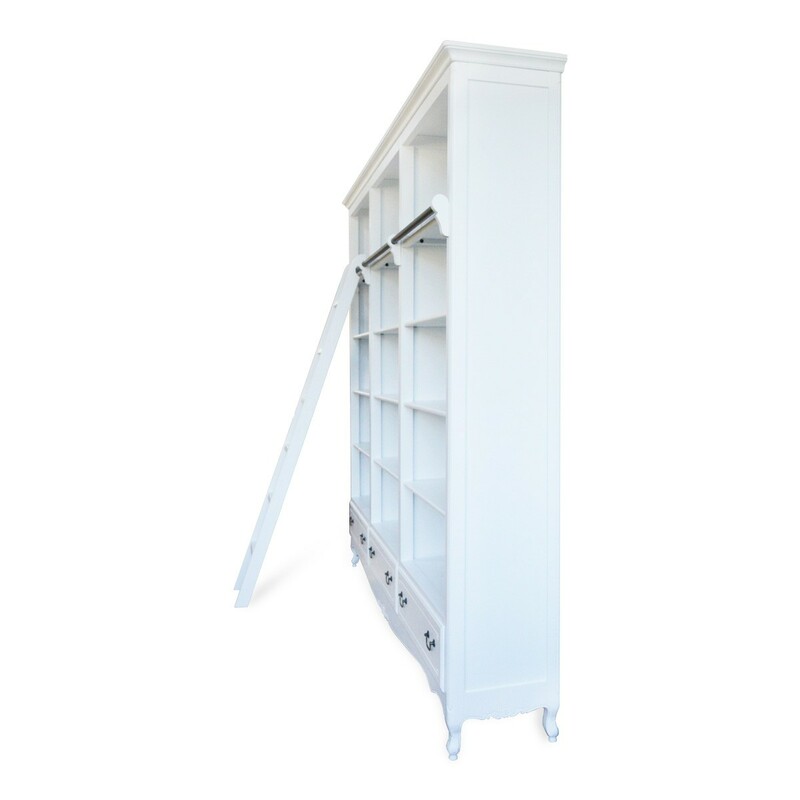 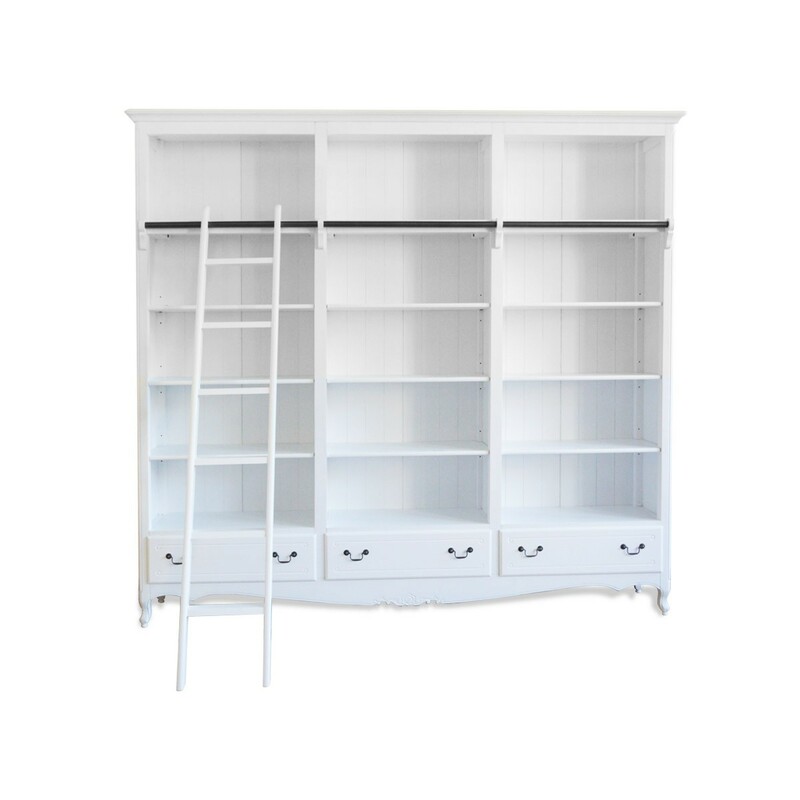 You deserve a French provincial bookshelf with three drawers, which provides you better space-saving storage. 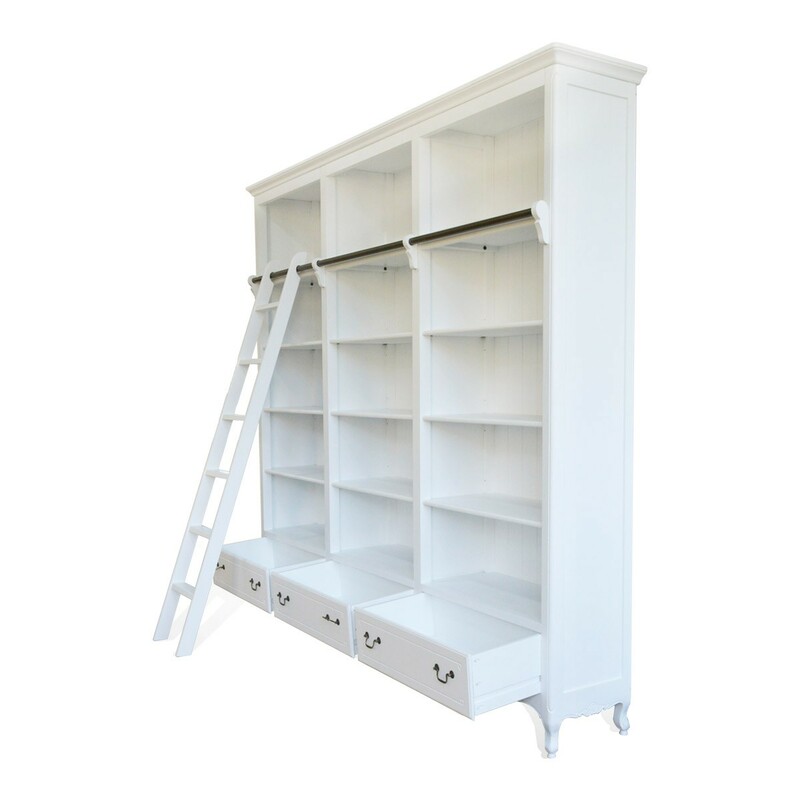 Aesthetic and elegant French provincial bookcase with extra harmonious ladder is designated for polishing your classic home. 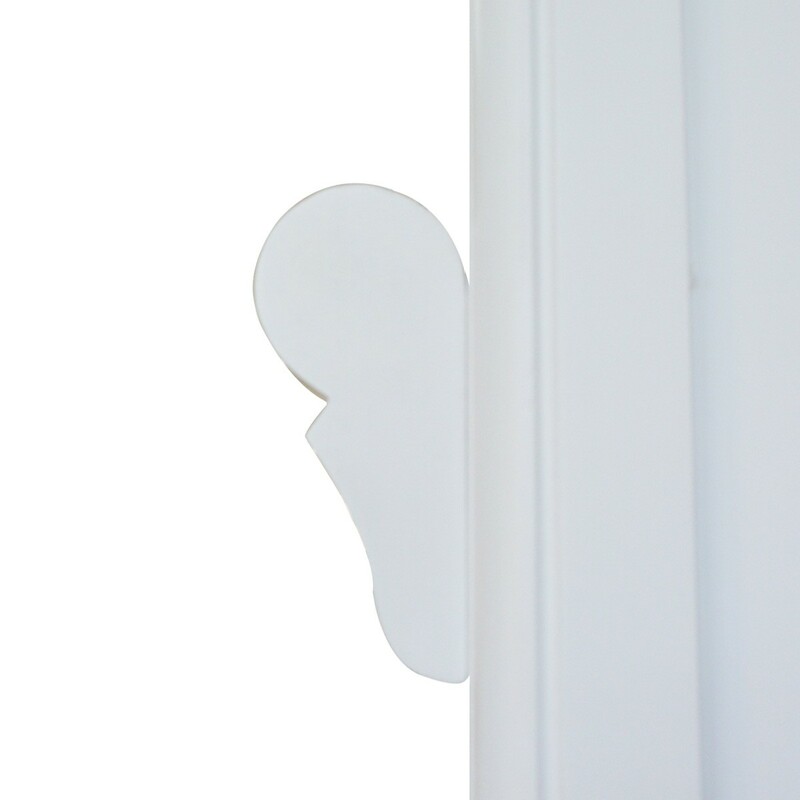 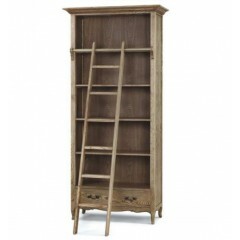 In terms of thoughtfulness, an additional ladder is designed to help you reach the top shelves of this bookcase. 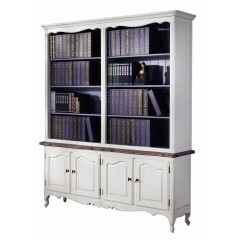 French provincial bookcase can be either placed in a study room or living room as it always emits an atmosphere of contemporary and orthodox styles. 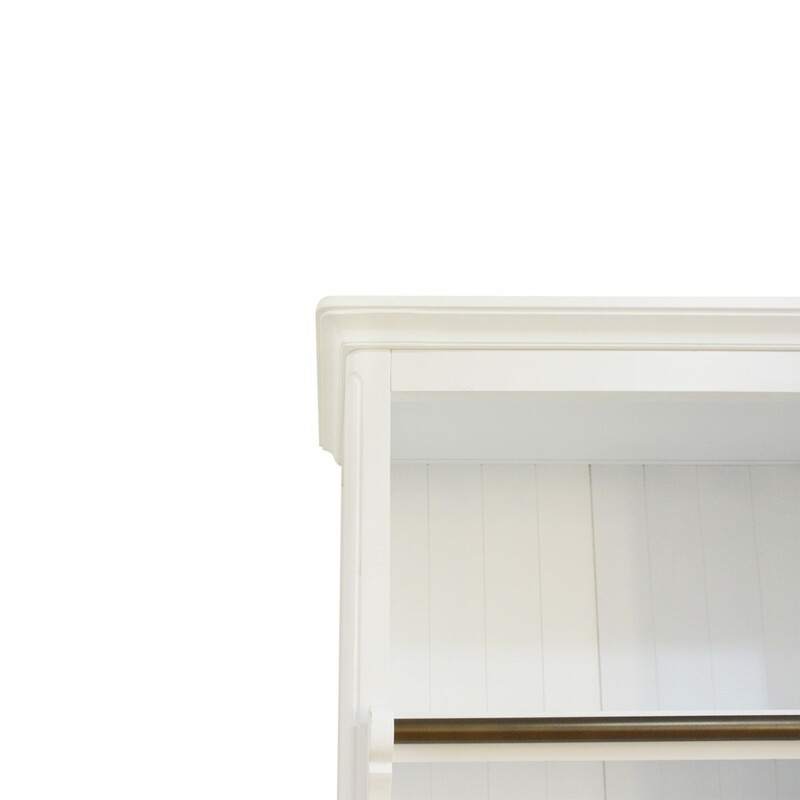 Craftsmen’s sophistication and meticulousness are illuminating by looking into each angle and curve of this masterpiece. 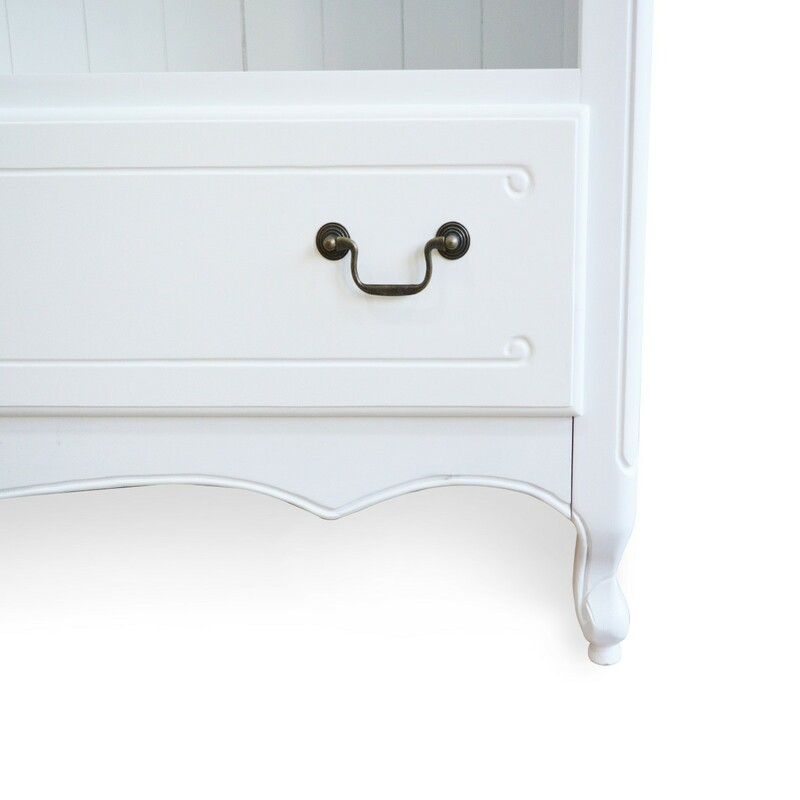 As a brand, La Joie Living lives and breathes product, creating conventional and trend-setting home accents and furniture. 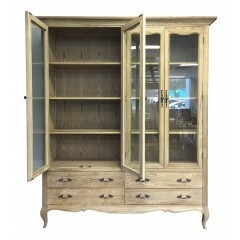 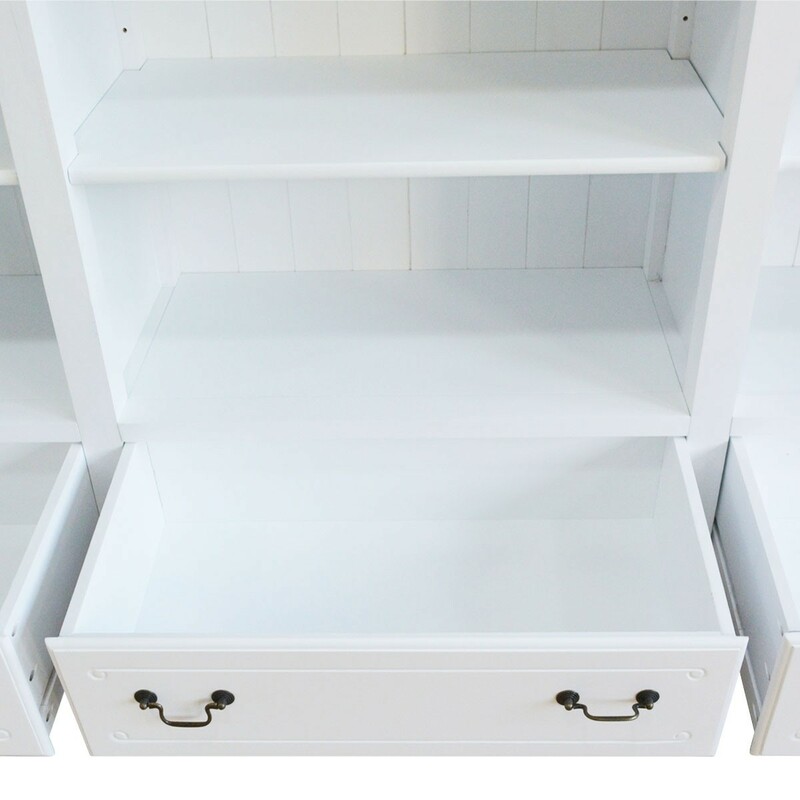 This range includes Classic Dressers, Bookcases, TV Units, Desks, Writing Bureaus, Dining Settings, Occasional Chairs and a Bedroom Collection that will look stunning in your newly built or renovated home, be that Modern, Contemporary, Edwardian, Georgian, Federation or Victorian, French or English.